The problem with the CDC'S requirements are that you have to test 5 out of 5 in each block test. I tested negative but had 10 clinical symptoms, and when my blood work came back from both Denmark and NY, I had 70% infection and almost 50% fungus. Now, when you show 10 clinical symptoms of Lyme disease and your body is 70% infected...YOU HAVE LYME DISEASE!!!! There is a huge up and coming medical and scientific community that are pressuring the CDC to change it's test requirements, but until that happens and the CDC starts listening, Many people will continue to test negative. The problem here is that its not just one thing, its many things that are allowed to fester inside your body, spread and thus attack your immune system and if undetected, because of the lack of accurate testing, can continue to destroy your immune system. The immune system is made up of a network of cells, tissues, and organs that work together to protect the body. One of the important cells involved are white blood cells, also called leukocytes, which come in two basic types that combine to seek out and destroy disease-causing organisms or substances. If the immune system is constantly being attacked, your body is left to fend for itself, not only that, to be destroyed. My story is very typical. If you have read the original blog, (which I employ you to do you, will find "my story". However, sometimes the fix is not pleasant either. I'm on my first (out of 5) years worth of Antibiotics and Anti-fungals and let me tell you, its no picnic. The Lyme specialist has to also keep ahead of your body to make sure your body doesn't get used to the medication and every time the medications are switched, you get sick again. Yes, most of the symptoms are gone (the heart attack, the memory loss, the confusion, shaking, night sweats, trouble focusing, trouble balancing, Very very rapid weight gain, joint pain all over my body, flu like symptoms constantly, the terrible fatigue to the point where you can't function, dizziness, chest pains, stomach pains, and nausea). Now, Imagine all these symptoms all the time at the same time. Remember, I was lucky because they all showed up within a 6 month time, but with a lot of people, one or two symptoms could show up this year, one next year, three the following year and it could stay undetectable through blood work because of the CDC lack of updating their test's. I am on 13 pills a day 4 times a day to control this. But the following symptoms because of the medication's are as follows. Now imagine, that only leaves meats, some vegetables (no tomatoes or corn and corn products because things like that have natural sugar) and very few fruits. We even went to whole foods, natural food stores, but everything had some form of flour or sugar. Within 2 months, I felt so much better, but had lost over 60 lbs. When the Lyme specialist saw me, he said loosen up on the diet a bit because I can treat the disease, but not anorexia. I am now on a looser diet, and gained a bit of weight back. I also want to note here, that 12 months out of the year, our two dogs are on the preventative, yet this spring, tested positive for Lyme. This is how strong the disease is getting. 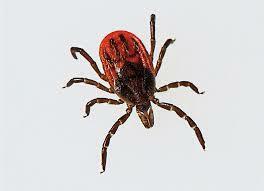 There are even reports that there are two new forms of Lyme disease, one being an instant killer. Because Lyme disease attacks the immune system, your body is left very vulnerable to almost anything. It is my belief, that we are all born with cancer cells and I believe this through all the research I've done and things I've experienced. Most lay dormant. I guess the proper way of saying this is, that we are all born with cells that can potentially become cancer cells. These are called .. stem cells. Now, here is the problem, with a compromised immune system, these stem cells can grow quickly and you would never know it. Once the immune system is compromised, it has to work over time to reject infections. Lyme disease eats the immune system which becomes over burdened and becomes weaker and weaker where as a healthy immune system "identifies" harmful infections and destroys them and without this defense, infections, stem cells (Cancer) can develop and run a muck. Once a cancer cell divides, it can travel through the body and attaches itself with any organ. Cancer cell growth is a natural process,(remember, we are all born with predisposed cells) but the immune system destroys these cells before they have a chance to escape and travel, or divide and conquer. Ok, so, you have Bacteria, and two poisons with just one bite from an infected tick. Right away putting your entire body to go into shock. The changing of the cell gene will result in it becoming cancerous, here is the thing, infections such as viral can become dormant for years, even hide within the wall linings of organs and then all of a sudden, be released into the organ or blood stream. Lyme disease is associated with several infections and co infections, in skin infected by acrodermatitis chronica atrophicans (ACA) associated with Lyme disease, evidence has been found that suggest Lyme disease could be a direct cause of a skin cancer called primary cutaneous B-cell lymphoma (PCBCL). Also, in patients with PCBCL, Lyme bacteria can be found in their lesions. 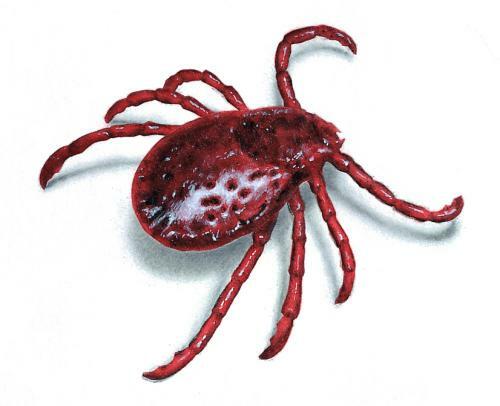 Though this one connection between Lyme bacteria and cancer is scary, when adding it to the list of secondary and primary Lyme co infections that link to cancer a terrifying picture begins to form. Lyme disease can lead to all three of the actions correlated with infection leading to cancer; It causes inflammation, depresses the immune system, and promotes infection that can lead to alterations of DNA. Though these are the actions that may lead to cancer it is important to remember that it is Lyme diseases ability to expose the body to so many infections that make it a pathway for cancer. Envita has been treating Lyme disease for nearly two decades and is experienced with diagnosing and treating not only Lyme but the many co infections that accompany it. With proper identification, reduction of inflammation, and restoration of the immune system, treatment of Lyme disease and its co infections can be achieved lowering the risk of it causing cancer. And other symptoms unexplained such as in my case where my CK levels were out of control.